"Christmas Towels Set #3". Kitchen Towels Set (3 pieces). In stock. Only 2 sets available! 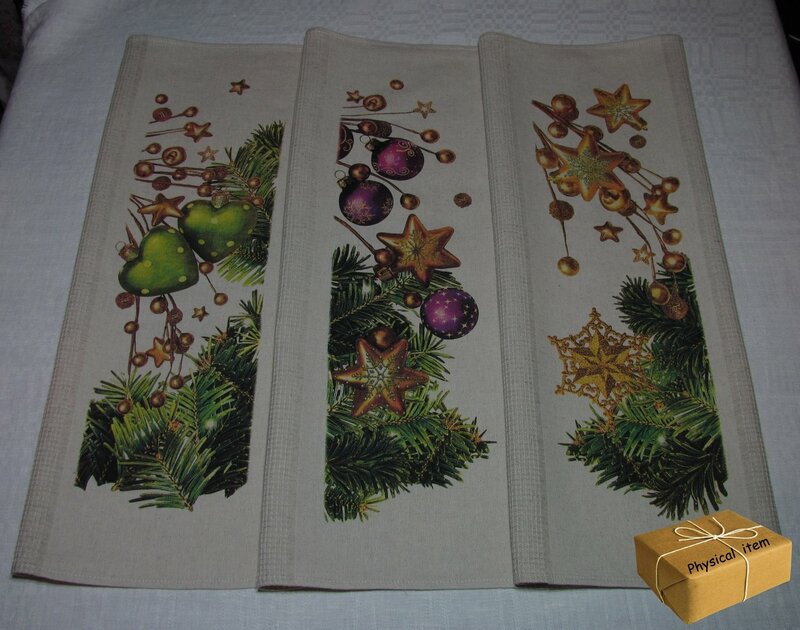 Set of three handmade cotton (79%) + linen (21%) kitchen towels with vintage style christmas motifs print. Natural beige color. Strong and durable combination of "waffle" and evenweave fabrics. Pre-washed and hot-ironed. Ready to use. Please NOTE that processing time is 3-5 business days.